We are all busy but don’t want to depend too often on the drive-through window to feed our families dinner. We want to eat healthy foods but not spend a long time in the kitchen after a long day at work. Indeed it can, when you use the slow cooker you have on the shelf — or maybe it’s still in the box waiting to be used. Using a slow cooker (Crock Pot is one brand name that has become synonymous with slow cooker) offers you the ability to prepare a meal without spending hours in the kitchen. Just set it up and go about your busy day, arrive home to a meal ready to eat, get creative with foods on hand and leftovers as well as feed many people easily. In the warmer months of the year, using a crock pot helps make a tasty meal without getting the kitchen hot too! Creating meals for our family and friends, meals we know are as healthy as possible, is much easier using a slow cooker. We can control the ingredients, use fresh foods and lower sodium stocks that will give us a more improved version of the foods our family enjoys while we take care of business throughout the day! Often times, we can make delicious meals with just a few ingredients, such as a stew using chunks of chicken, a mixture of vegetables, low sodium chicken broth, cubed sweet potatoes and seasonings such as thyme, ground pepper and parsley. 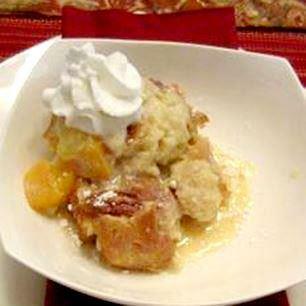 You can even make dessert in your crock pot! My favorite thing to do in my crock pot is make pulled pork BBQ. I can control the amount of fat with the cut of meat I use and add the sauce we love the most. The very best thing about using a crock pot (besides the convenience of having dinner ready when you come home) is that you cook once and can usually eat twice or even three times from the amount of food you make in that recipe. Many of us may already have a crock pot and others may be deciding that you have a need to use one especially since there are so many great recipes popping up everywhere for ideas to add to your plate. If you don’t already have one or are considering updating to a newer model, there are many crock pots on the market, so which one is right for you and your family? Think about the different features available and how you might be using your crock pot before you buy. Cost — You can spend a fair amount of money on the Cadillac of crock pots if you choose to do so, but it is probably a good idea to come up with a few features you can’t live without and then fit that into your search. An average crock pot should cost about $50-100, however, the smallest ones can be found for $20. Insert type — what type of material is the cooking insert? Do you prefer an insert that can be used on the stove top to brown foods before the slow cooking starts or would you prefer ceramic or stoneware? Size — how much do you plan to prepare? Will you feed about four or more like a crowd? You can also get one that feeds 1-2 people or can be used for dips and appetizers at a party. The amount of cooking space is stated in quarts, the larger the quart size the bigger the crowd that will be fed! Crock pots range from 4 to 6 quarts for most models. Don’t forget, the larger the crock pot, the larger the cooking space you will need on the counter near the plug so keep in mind your available space. Auto warm cycle — this feature can help keep your foods from drying out if cooked too long and hold foods warm for serving without continued cooking. Ease of cleaning — can the interior and exterior be cleaned easily? Can you put the insert into the dishwasher? Are there crevices that will be hard to clean if they get chili spilled on them? Ability to program start/end times — some products come with either manual or digital controls; programmable models allow you to set the cooking time to prevent overcooking but can keep food at proper temperature until you are ready to eat. Ease of transport — if you plan to use for potluck parties or family reunions instead of every week meals at home, will it be easy to bring along and plug in somewhere without spilling on the car floor before you arrive or lose temperature quickly? Some come with lockable lids that can help with safe transport. Some also have retractable cords to make carrying along with you a bit easier. Handles — are the handles large enough to make lifting the cooked contents out of the machine, a full crock pot can be heavy; are the handles sturdy and protected from getting hot and burning someone’s hands? Storing leftovers — some inserts allow you to store leftovers directly in the refrigerator (once it has cooled). Warranty — what manufacturer provides the warranty coverage you want and ability to get replacement parts such as lids or inserts in case they are broken? If you think you might forget about your slow cooker while it is on, there is an app for that which can connect to specific slow cookers and alert your smartphone when it is ready, allows you to set temperature remotely and even tell the family dinner is ready! While slow cookers are very convenient to use and will give you options for preparing healthy meals while you do other things, they can pose some safety risks requiring precautions. It is best to use higher fat meats or add adequate fluids during cooking so that it doesn’t dry out and burn while you are away. The fluid should cover the meat and other ingredients in the pot (this also helps maintain the appropriate temperature in the food throughout the cooking time). Be sure you maintain a temperature of 140 degrees F especially if you will be leaving the food in the slow cooker for long hours. This will help prevent bacterial growth that could lead to food poisoning. Be sure that you have a good place to use the crock pot that has a nearby electric plug so that you won’t be forced to use an extension cord which can pose a safety risk. Inspect your device before cooking to be sure there are no cracks in the insert and that the heating component is functioning properly. If you have a coating on your insert, be sure it is not broken so that chemicals can leach into your foods. It is best not to start with frozen foods as they can take longer to come to full temperature and may pose a food safety risk. You can microwave the frozen items to thaw quickly prior to putting them into the slow cooker. Avoid lifting the lid during cooking time, as this allows the temperature to drop and may cause it to go below a safe cooking temperature. Cool leftovers in shallow pans and refrigerate within two hours of serving. Be sure your slow cooker is on a hard surface that will be safe when you leave it on all day. It is an electric appliance that can malfunction, creating a fire safety hazard. If the power goes out during the day while you are away and you don’t know how long it was out, throw away the food because it might have lost temperature and could put you at risk of food poisoning. Place cubed bread, peaches, nuts and butter into the stoneware crock-pot. Serve with a little vanilla bean ice cream or a dollop of whipped cream.